BlogHome » Jelly rolls, layer cakes and crumb quilts – all the ingredients you need for a perfect quilt retreat? Sometimes it sounds like quilt fabrics have ended up in the kitchen by mistake; jelly rolls, layer cakes and crumb quilts all sound so delicious! 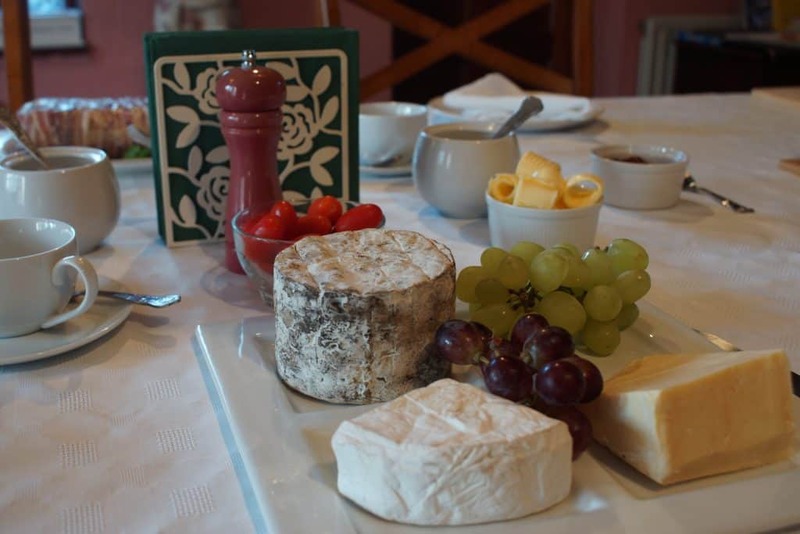 To me good food, good friends and hours spent quilting are the perfect recipe for a lovely weekend away. Here’s our pictorial guide to a weekend quilt retreat at The Old Bakery. Your quilt retreat starts from 2pm on a Friday afternoon when you’ll be welcomed with tea and cake. 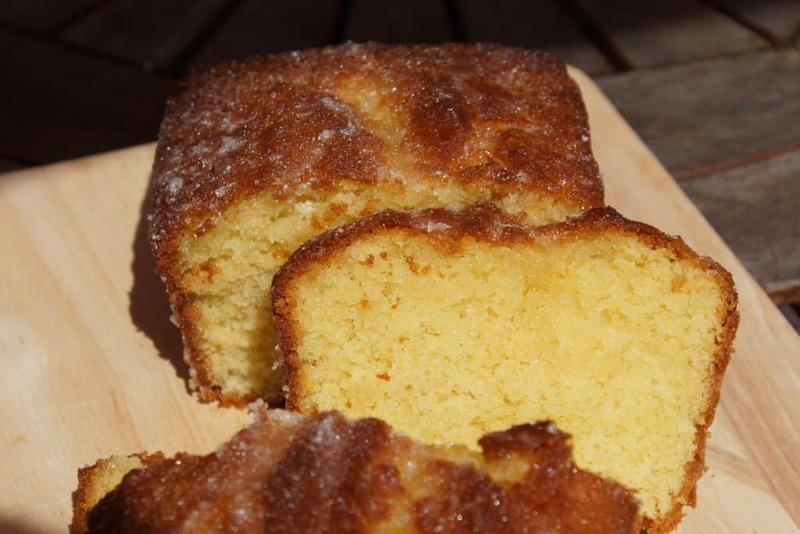 This is our famous Lemon Drizzle cake – well it gets mentioned regularly on Trip Advisor! Then it is time to start sewing. 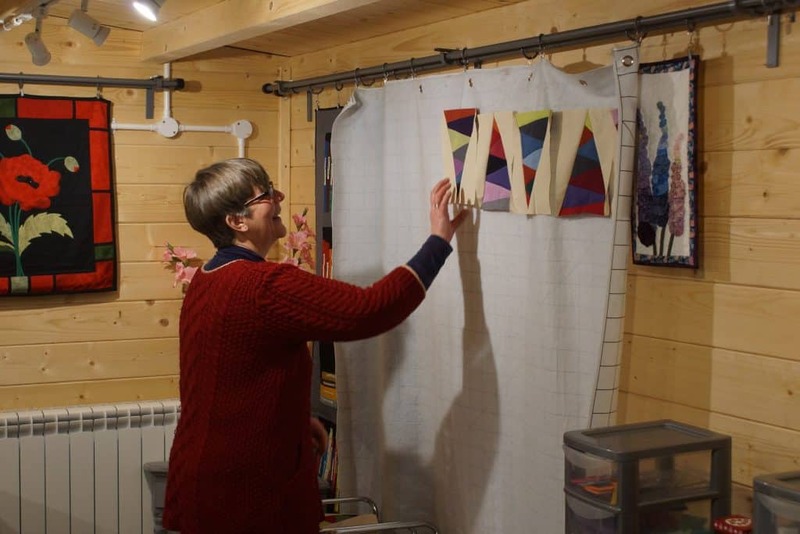 Welcome to our new quilt studio – The Bolt Hole! Early evening and it’s time for dinner made with food we grow on our allotment or from local food producers. We have a grape vine but we haven’t perfected wine-making so you are welcome to bring your own wine, gin etc! and you can carry on sewing after dinner if you want. 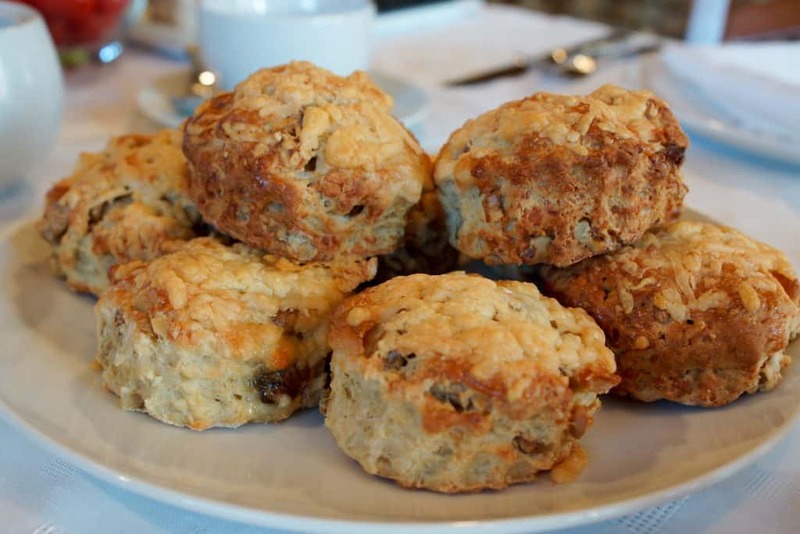 Saturday morning on your quilt retreat and it’s time for one of our award-winning breakfasts! The Full Norfolk anyone? 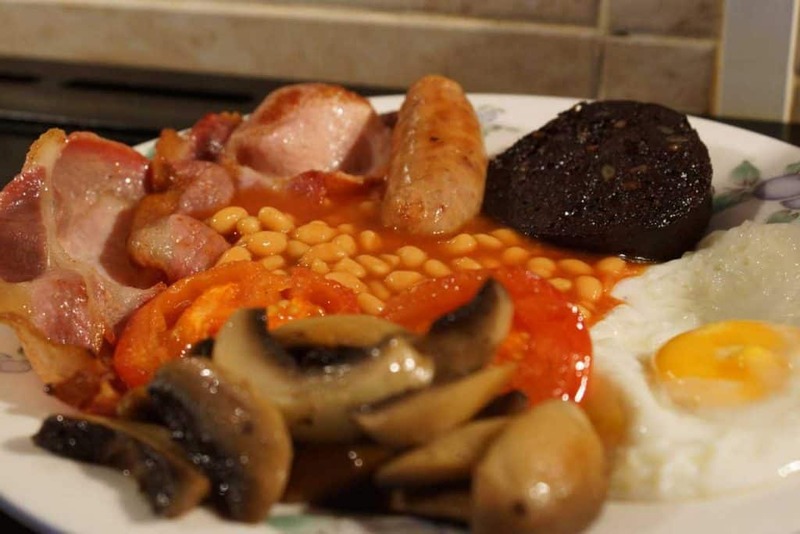 We serve sausages, bacon and black pudding from local butchers and the eggs are from a farm in the village. After that you have all morning to design, stitch and sew…. 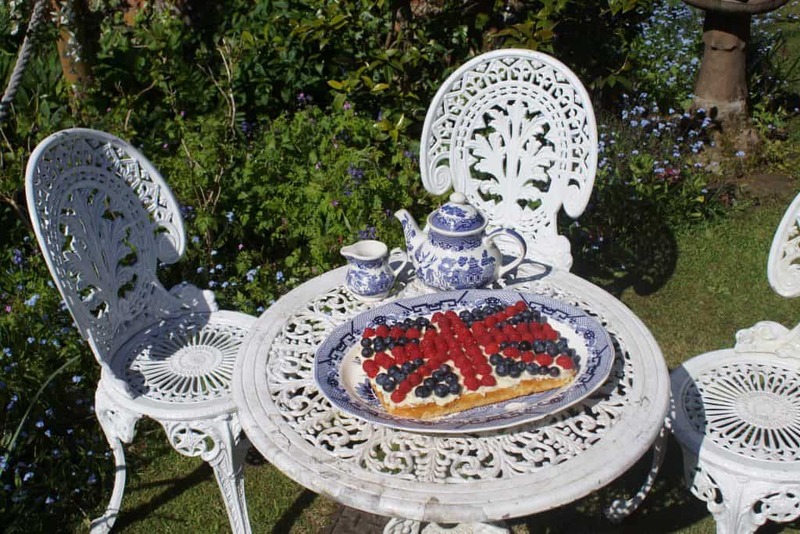 Saturday afternoon and you have more time to sew, perhaps only stopping for afternoon tea and cake in the garden. This is the cake we made for two quilters who were here on the day of Harry and Meghan’s wedding in 2018. Until it’s time for dinner again. 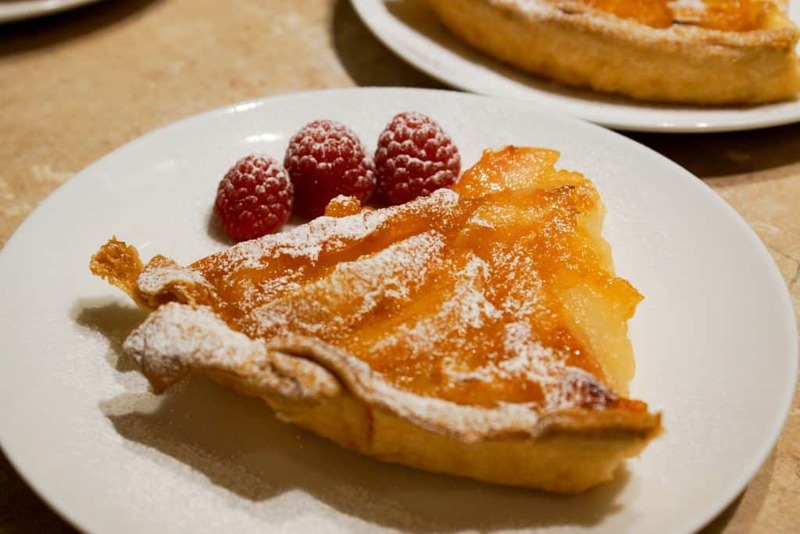 This is our home-made apple pie. Still got some energy, then carry on sewing… or just relax. The final day of your quilt retreat. 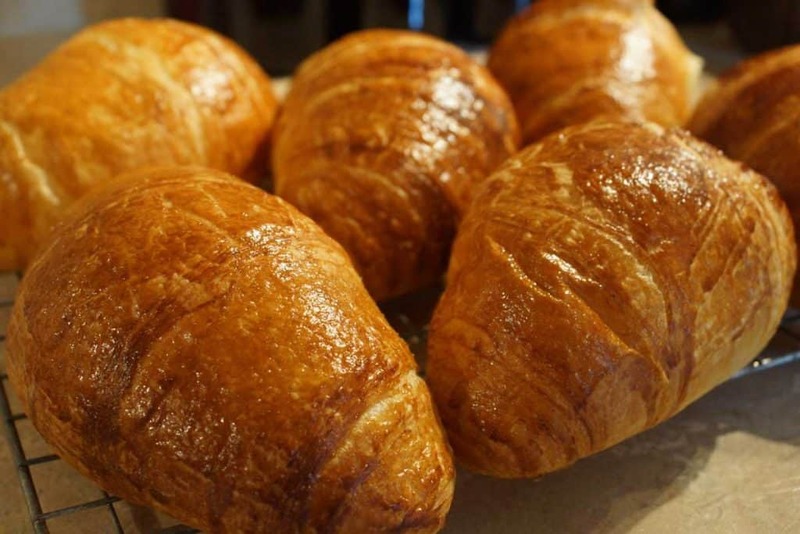 Fancy something different for breakfast perhaps? 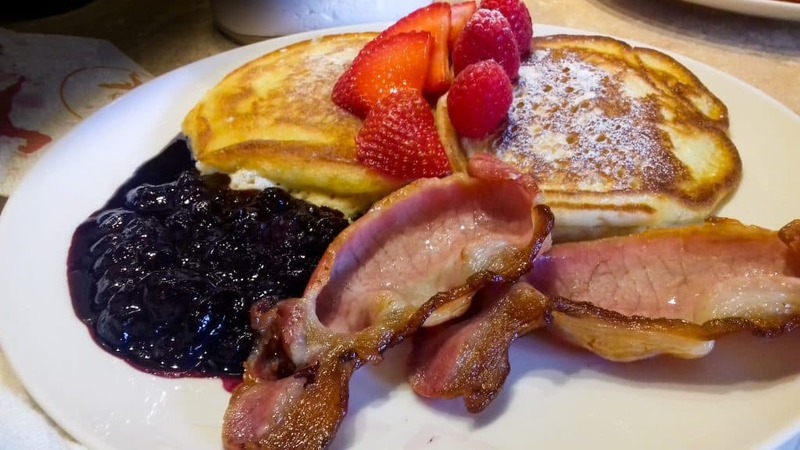 American pancakes with bacon and home-made blueberry compote is our personal favourite, with a freshly baked croissant and home-made jam. 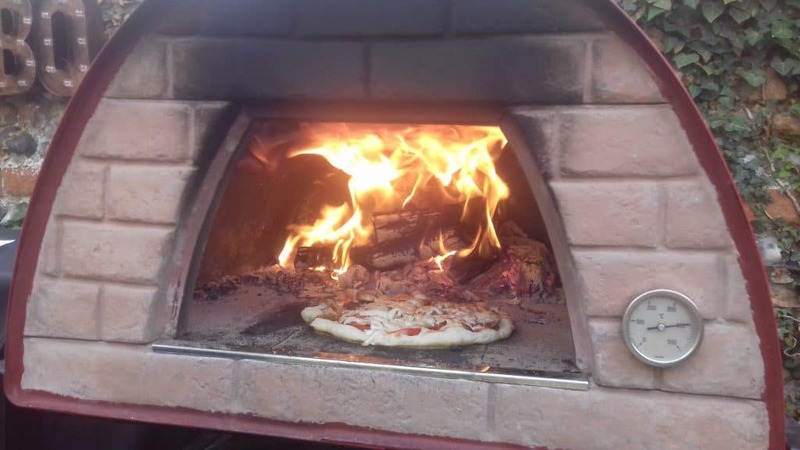 If it is warm enough we may finish off with home-made pizza from our pizza oven in our coastal garden. So there you have it. 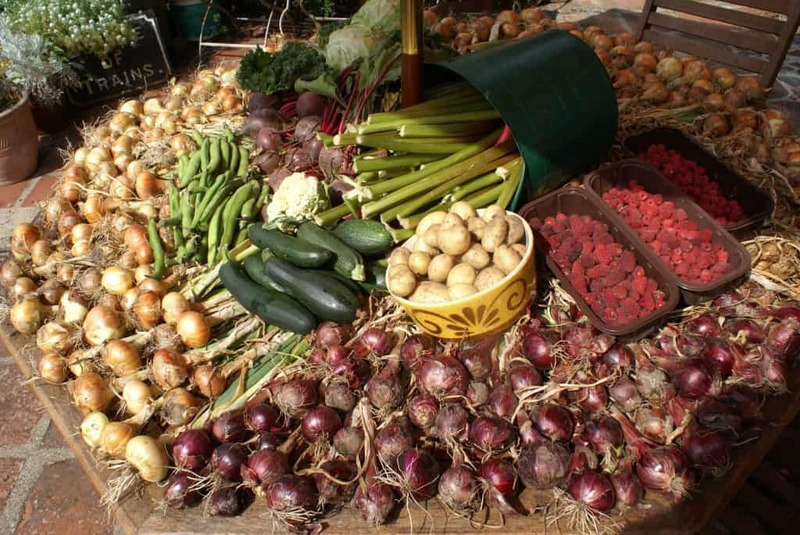 Lots of home-made food using local ingredients and fruit and veg that we’ve grown. 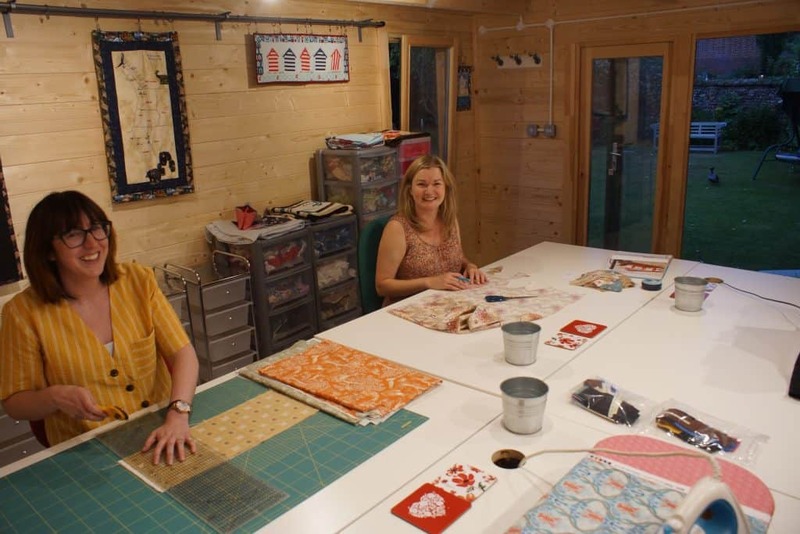 Mix with fellow quilters, lots of time to sew, chat and relax and you have the recipe for a perfect weekend quilt retreat. Ideal for groups of 2, 3 or 4 quilting friends to catch up and quilt. 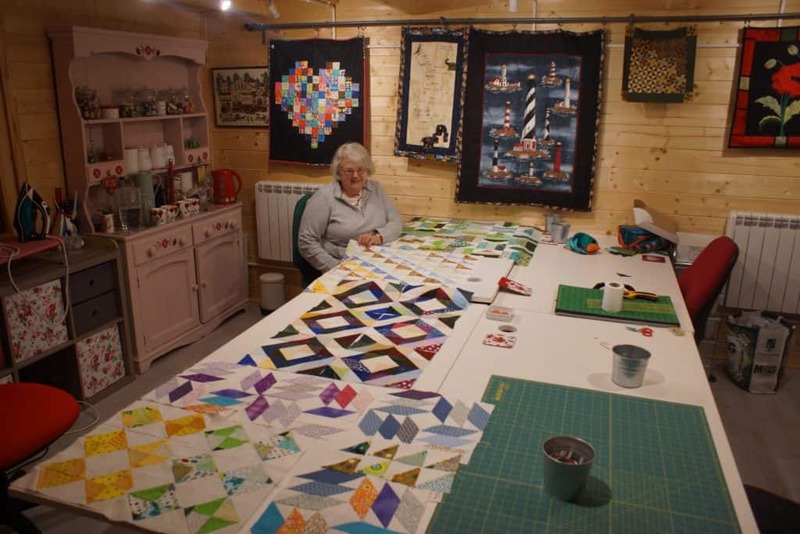 Give Alison a call on 01263 862802 to arrange your own quilt retreat.